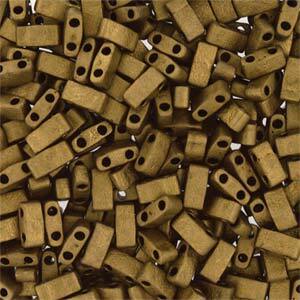 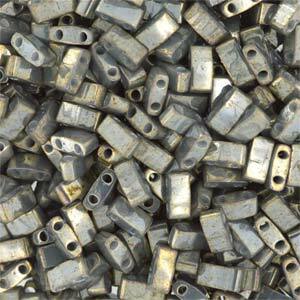 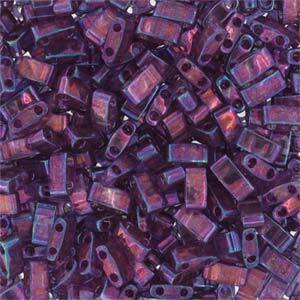 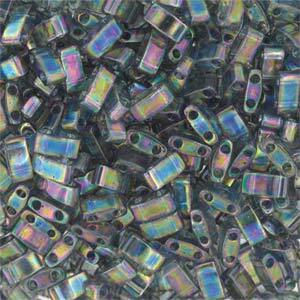 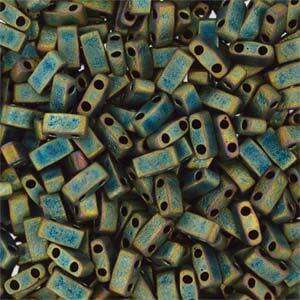 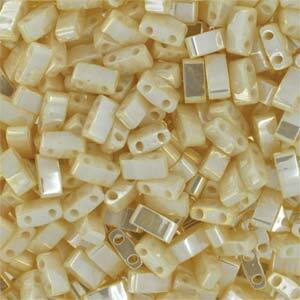 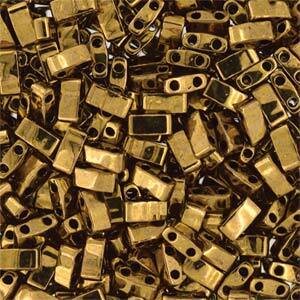 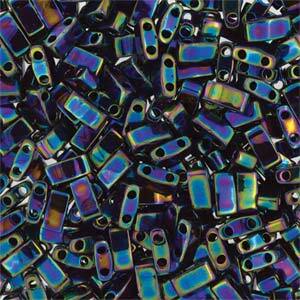 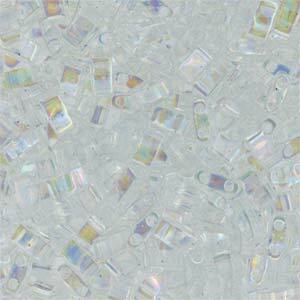 Miyuki Half Tila Beads measure 5 x 2.3 x 1.9mm. 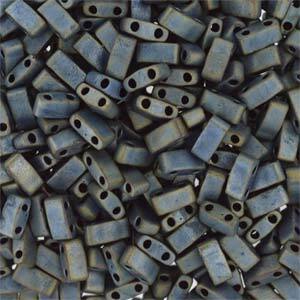 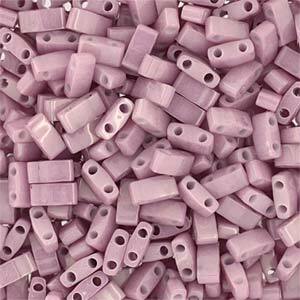 Each Half Tila Bead has two parallel 0.8mm holes so they combine with the larger tila beads allowing more creativity and originality to your designs. 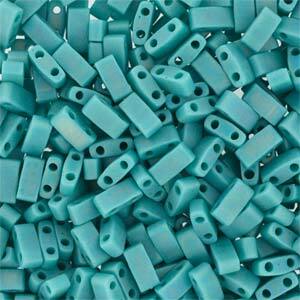 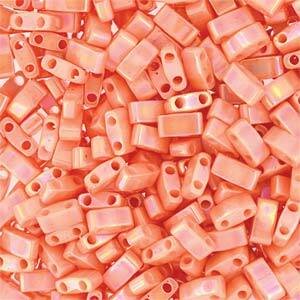 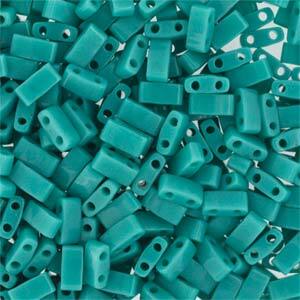 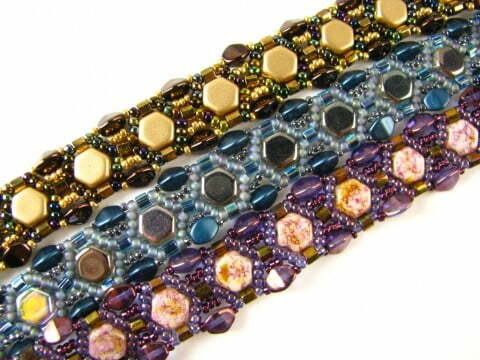 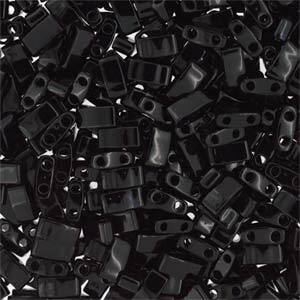 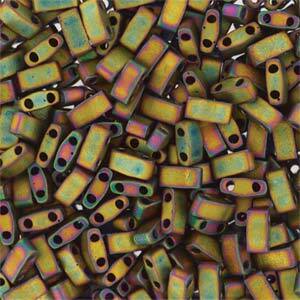 Like other Japanese seed beads made by Miyuki, Half Tila Beads are high-quality and uniform in size and shape. 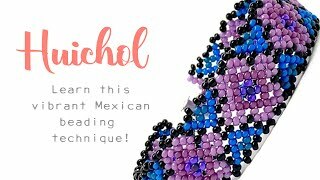 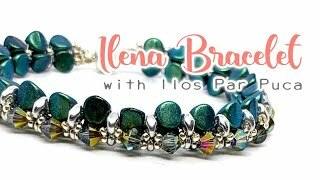 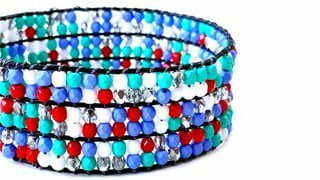 Watch the video tutorial below and learn how to make a beautiful cuff bracelet using Miyuki half tila beads.